Grass fed beef has been shown to be better for you and tastier to eat. But not all grass-fed beef is the same. Some of the best beef in the world, and certainly the best in Australia, is raised and prepared right here in Maleny! This is because it doesn’t have the chemicals in it that help the cows eat what they were never meant to eat… grain! Grain aids faster growth, but cattle have difficulty digesting it and can even get tumours. To help the cattle digest it, and compensate for the lost goodness of natural feed, they’re given grain with doses of antibiotics. This is because the best saturated fats eg. CLA only comes from the diet of grass not grain that the cattle eats. The majority of beef you buy in the supermarkets is grain-fed beef. This means it can help prevent cancer. The Omega-3 fatty acids and the Conjugated Linoleic Acid are great for us and even just 80 days of grain-feeding is enough to undo all that Omega-3 goodness. This is because there’s less fat and water in the meat than grain fed beef. 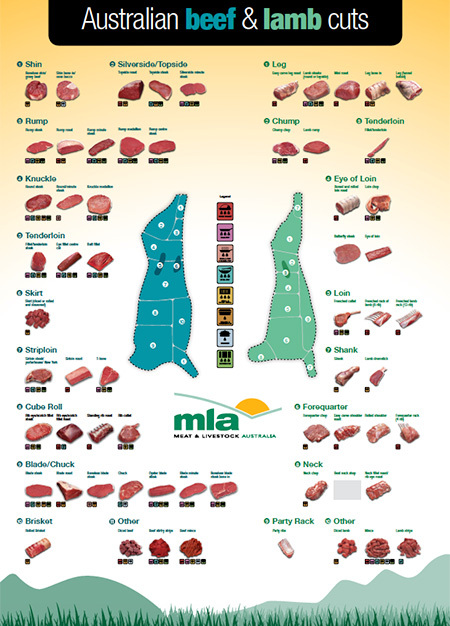 The rumps and other cuts you buy from the supermarket might look thick and juicy, but as grain-fed beef, they shrink. Our beef holds its shape better, giving you a bigger steak! This is because Kikuyu grass and clover are prevalent in this area because of our altitude and rainfall. Kikuyu is a better feed for our cattle than many other grasses in other areas of Australia. And clover puts nitrogen back into the soil. These supplements help our cattle maintain a balanced diet. It has vitamins A, C and E which are natural anti-oxidants. This means our beef has healthier fats and a better taste. Maleny Black Angus Beef is not only grass-fed beef, but the healthiest and tastiest grass-fed Black Angus beef in Australia. You can buy a whole beast, half, mixed quarter or a ‘taste’. We’ll deliver it to you by refrigerated transport – fresh not frozen – in convenient, meal size, cryovaced portions, direct from our local accredited processor. Plus, we deliver free to Brisbane, Sunshine Coast, Gold Coast and Toowoomba.